Baja California Famous for its dramatic landscape of boulder fields, cactus-covered mountains and nearly 2,000 miles of rugged coastline. While Baja is dry and earth-colored over water, it transforms beneath the surface into a colorful ecosystem of biodiversity. This region, which Jacques Cousteau calls the Aquarium of the World, is one of the most impressive dive sites in Mexico. Nevertheless, it is often overlooked by tourists in favor of the Yucatán. If you want to have these breathtaking sights all to yourself, it's time to visit. Diving this good will not stay a secret for long. If you are looking for an authentic Mexican experience, La Paz is a great place to leave the gringo trail. It is a popular destination for Mexican citizens, but feels off the beaten track of Cabo San Lucas worlds. Stroll through the Malecon, eat some fiery seafood, and sample the local organic market to get a taste of the real Baja California Sur. Just one hour from the coast, the islands of Espiritu Santo and Los Islotes are the gateway to the Mexican Sea of ​​Cortez. Happy visitors might see orcas, dolphins and whales on the boat. The real stars of the show here are the very friendly California sea lions of the region. These underwater acrobats are known for their playful antics and close encounters. Spring is best for diving and snorkeling with the curious puppies. Underwater photographers may want to bring a small hand mirror. Sea lions love to interact with their own reflections, and they can really weaken it for the camera. From October to May, whale sharks – the largest fish in the world – gather in the shallow waters around the bay of La Paz to feed themselves. These gentle giants eat mainly plankton and are absolutely safe for divers and snorkelers. 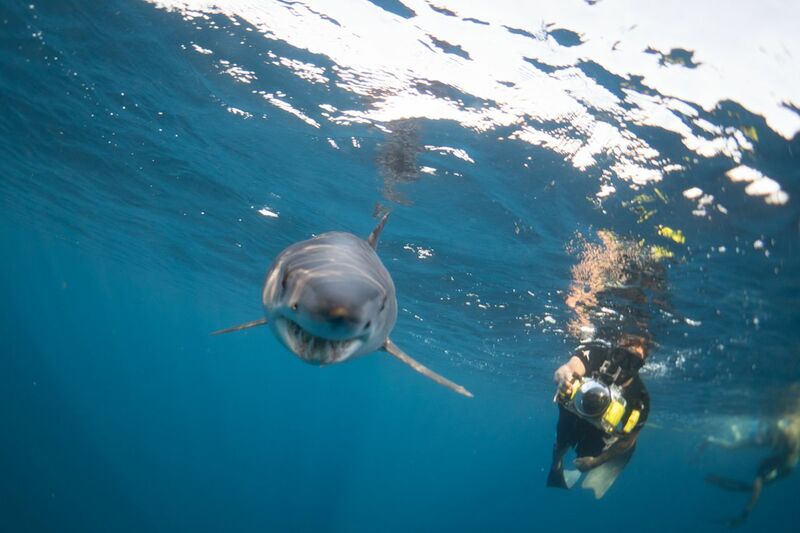 Most encounters take place on the surface, where the sharks are slowly searching for their next meal. Do not go to Cabo Pulmo and expect luxury hotels or all-inclusive resorts. There is no nightlife, internet access is spotty and the drive into town is an adventure. It is therefore a destination that remains best for intrepid travelers. But if you are up to the challenge, you will not be disappointed. Diving in this national park is one of the best in Mexico. 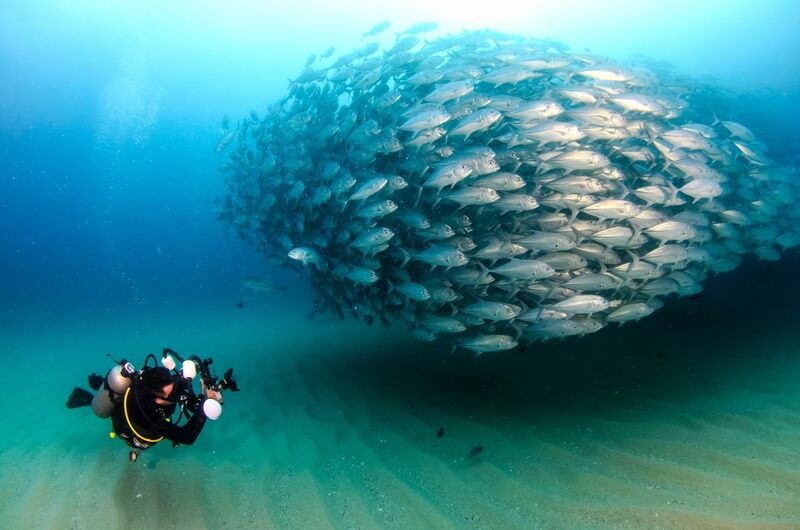 Thanks to decades of protection Cabo Pulmo National Park has turned into a paradise for divers. After their overfishing, these waters are now known for massive swarms of snappers and groupers, mobulas, sharks and occasionally orcas. 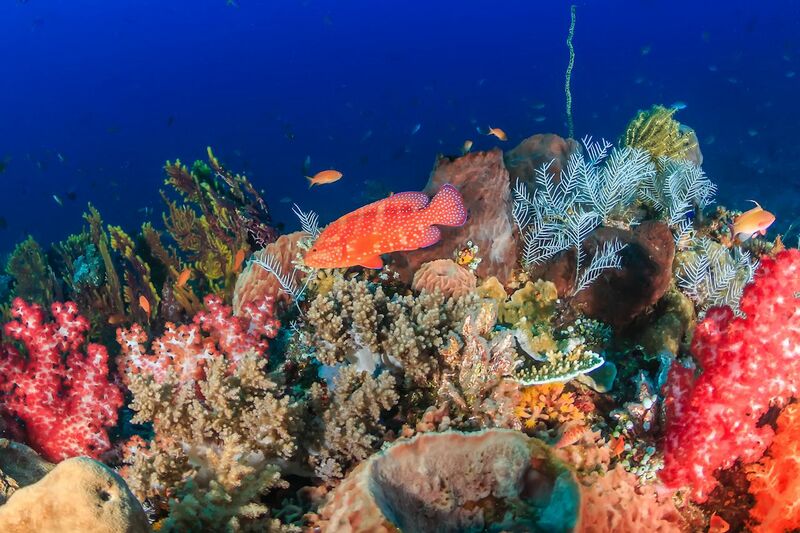 This is the largest coral reef in the Sea of ​​Cortez, so you can expect many colorful fish and critters. The autumn and winter months are best for diving. This is especially true if you want to meet the megafauna of the region face to face. Humpback whales, manta rays and bull sharks are the most famous inhabitants of the park. If you're not a certified diver, Cabo Pulmo has plenty to offer. Directly on the coast and at some dive sites there are excellent snorkeling. Guided kayak tours are another excellent option for those who prefer to stay up. The twin cities of Cabo San Lucas and San Jose del Cabo are classic Mexican resorts. All-inclusive hotels are located on the waterfront, and a typical nightlife includes famous drinking destinations such as the Cabo Wabo Nightclub. But it's not all bad. 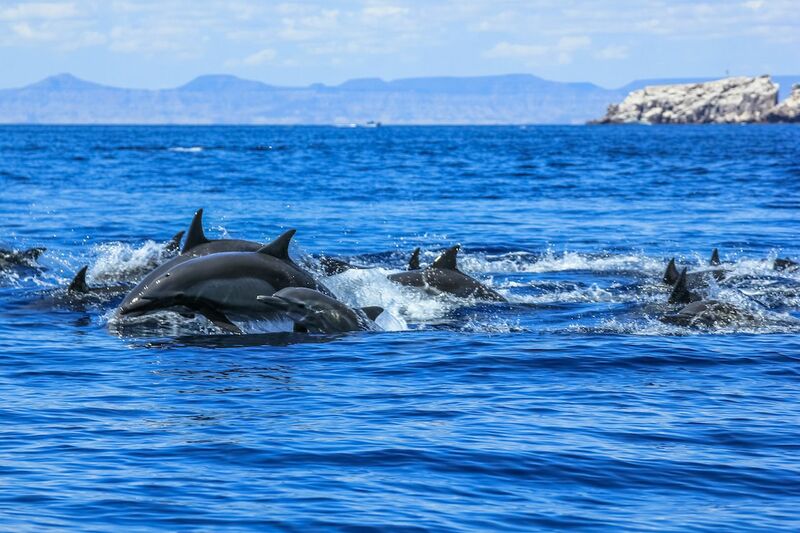 Los Cabos is a great base for great diving trips and other water sports such as fishing and sailing. A short boat ride to famous attractions such as Land's End and Neptune's Fingers takes you straight to the center of Cabo's underwater adventures. There are regular reef sharks, sea lions, school barracuda and a massive grouper at these dive sites. But the wildlife is not the only attraction. Dramatic underwater rock formations make this area one of the topographically most interesting dive sites in Baja. If you're up for the one-hour boat ride, the sunken banks of Gordo Banks are worth the trip. During the autumn months, these distant offshore locations become a magnet for large pelagics such as sharks and rays. While hammerhead sharks, bull sharks and mobulas provide the most exciting encounters, huge tuna swarms, snappers and bucks gather here. This dive site is suitable for strong Pacific currents and open oceans and is not suitable for the faint-hearted. It is only accessible via the dive safari and the boat trip takes a whole day. Visitors who are up to the challenge, however, are well rewarded. Due to the remote nature of these areas, advanced diving certification and experience are required for all visitors. Do not dive for corals here at Socorro. These offshore seamounts and battlements are known for their dramatic slopes and massive rock faces. But what for Socorro and the Revillagigedo Islands Lack of reef life make up for it in big fish. This area is known for solitary encounters with whale sharks, dolphins and manta rays as well as the chance to see hundreds of silky, Galapagos and hammerhead sharks. 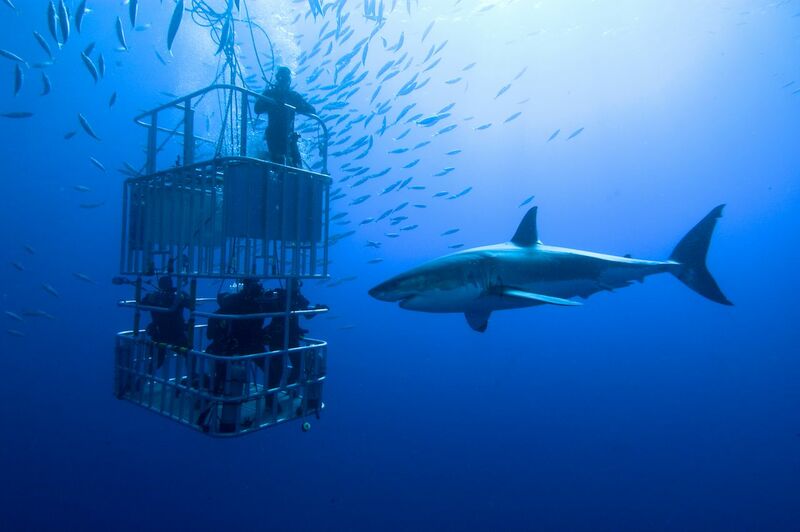 Divers come to Guadalupe to see only one thing: big white sharks, During the summer and autumn months, the sharks gather here in large numbers. However, most divers agree that between August and October they will see the most massive females. Dives in this area are done in cages and some operators use surface air. You will not swim on this trip. Instead, expect a lot of stationary time for the observation and photography of sharks.